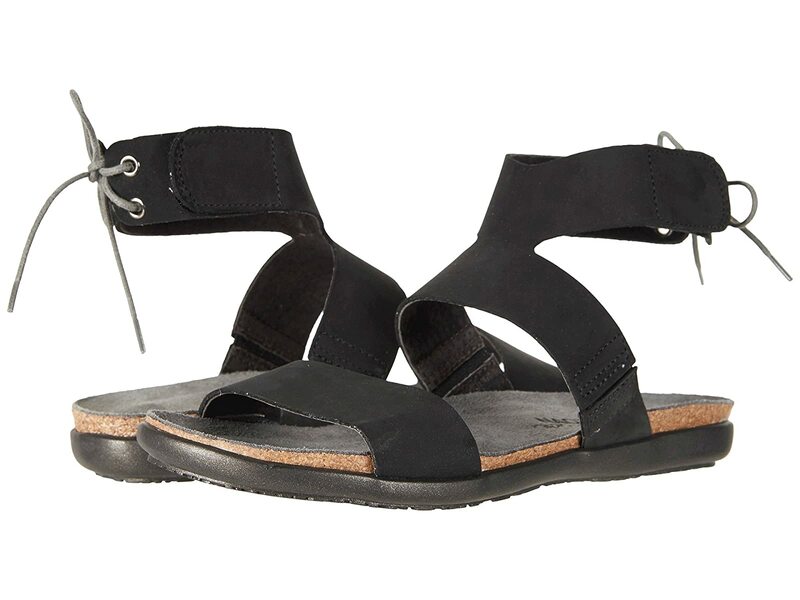 The Larissa sandal is from the Naot® Elegant Collection, which runs as a Narrow-to-Medium width. Supportive ankle strap features hook-and-loop fastener and tie closure. Cork and latex footbed is wrapped in suede for optimal comfort. Flexible, shock-absorbent TPR outsole enables the foot to move gently and continuously. Product measurements were taken using size 37 (US Women's 6), width M. Please note that measurements may vary by size.